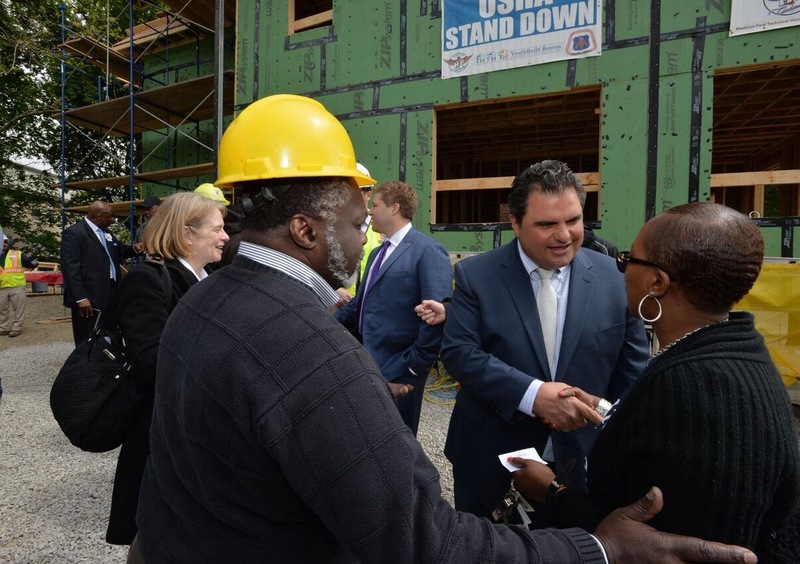 On Thursday, May 11th Mayor Carlo DeMaria joined YouthBuild Boston Executive Director, Ken Smith, regional officials from the federal Occupational Safety and Health Administration, representatives from Suffolk Construction, and many others at an in-progress affordable housing building site in Roxbury. YouthBuild trains young people in the building trades and arms them with the skills necessary to enjoy long-term success in the industry. The Mayor hopes to start a YouthBuild project in Everett in the coming months to give Everett young people access to this great career pathway. 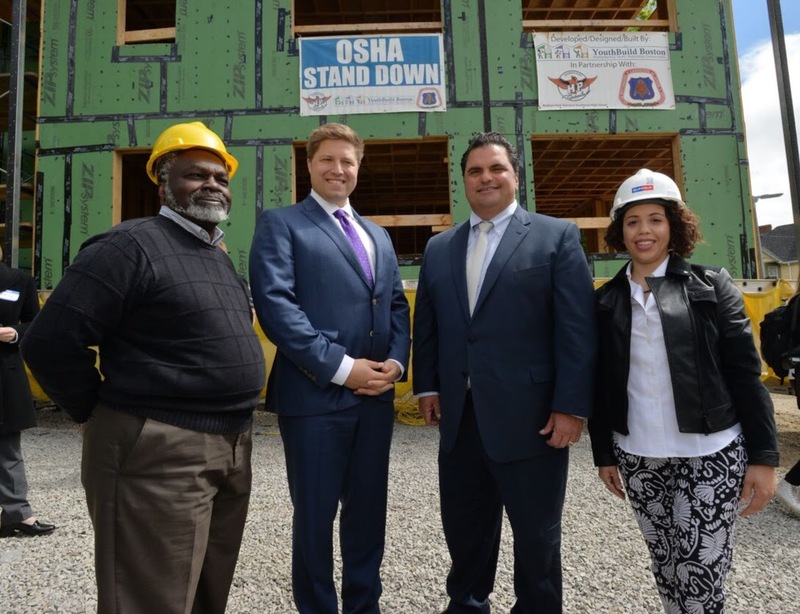 By partnering with YouthBuild, Mayor DeMaria and the City of Everett hope to empower and assist under served young people from Everett with the essential social, vocational, academic, and life skills necessary to navigate a positive pathway to self-sufficiency and neighborhood responsibility.